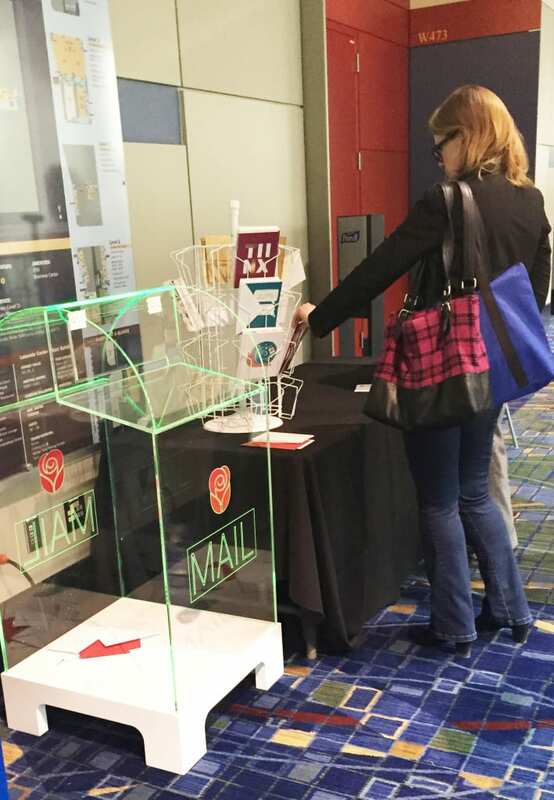 American Greetings’ mailbox and card-writing station was a popular stop for EMS attendees. 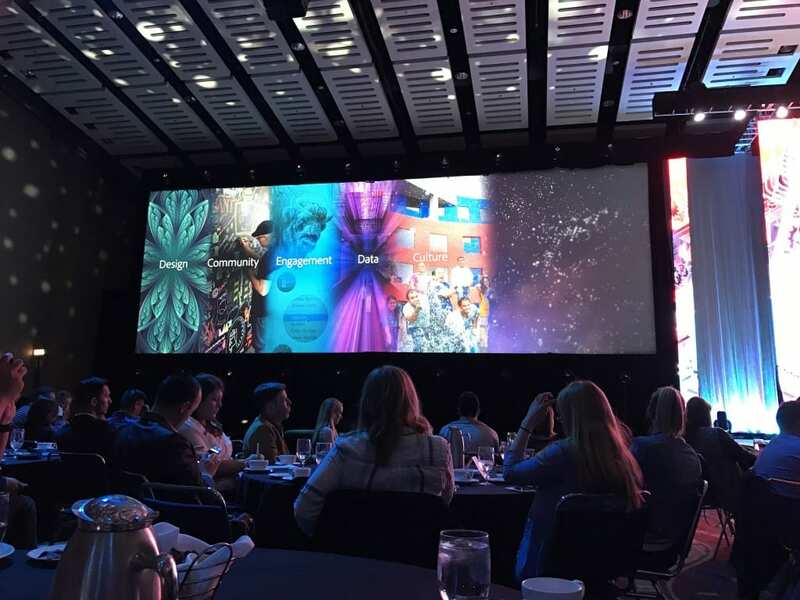 There would be no slowing down on the final day of the Experiential Marketing Summit (May 3-5) as another packed day kicked off at McCormick Place in Chicago. With 25 sessions including two master classes on the agenda, the spread of breakfast treats and fruit outside the general session ballroom helped fuel the morning. 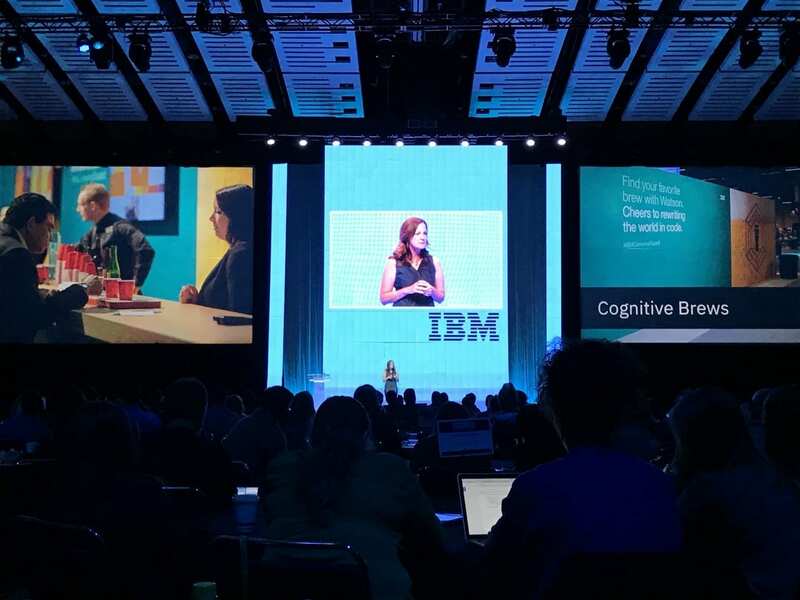 The IBM morning keynote began at 8:30 a.m., as Colleen Bisconti, vp-global events at IBM, talked about the “transformation” of IBM into a cognitive solutions and cloud platform company, and how that has transformed the brand’s event strategies. For the 106-year-old IBM brand, this has meant embracing technology to personalize the experiences for its event attendees—focusing on the attendee experience, rather than what the brand wants to tell attendees. IBM has transformed its events using three principles: Agile Thinking, Brand Design and Cognitive Experiences. “Reaching new audiences requires a new focus on not just where we go, but more importantly, how we show up, and for us, a key part of this focus is leveraging IBM Watson to pull this end-to-end experience together—new audiences, immersive experiences, maximum ROI from every single dollar we spend,” Bisconti said. After a brief networking break, women at EMS were invited to a networking brunch coproduced by Sparks at 10:30 a.m. featuring a conversation with Ms. Tech founder Nicole Yeary on the importance of networking for women in business. Women raised a mimosa and walked away with tips for career-minded women of all levels. Complimentary manicures were among experiences offered in the Solutions Center expo at EMS. At 10:45 a.m., a busy morning of sessions led by brand-side instructors, including event “habitats” with HP, launch events with United Airlines, reinvention with Google and design trends with Conde Nast. The luncheon keynote featured Alex Amado, vp-experience marketing at Adobe. 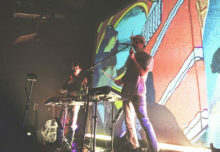 Over a Cinco de Mayo feast of enchiladas and ceviche, Amado shared thoughts and creative approaches used at Adobe that he hoped would be relevant and resonate with the attendees. When Adobe began its transformation seven years ago to a new business model, it learned that delivering great experiences is the mission when going through a big business change. “Adobe has always been about great experiences. 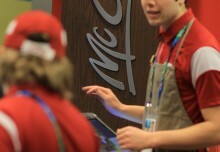 It’s our north star in delivering marketing to our customers,” Amado said. After lunch, 12 more sessions and a master class. 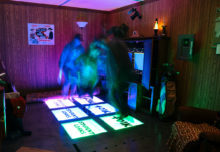 Among them: a look inside HGTV’s Lodge at CMA Fest, baby boomer event marketing with AARP, tips and fan forecasts from the Boston Red Sox and VR for every demographic with Humana—which included live demos. Since we’re all about going big or going home, EMS founder Dan Hanover hosted a closing general session at 4 p.m. on the trends to watch out for in 2017, with top expert case studies and insights, all washed down with cold beer. Mmmm. And that was a wrap. After 15 years, we can’t wait to share with you what’s next. We hope to see you when the Experiential Marketing Summit heads to San Francisco in 2018, May 14-16. In the meantime, check out this year’s Ex Awards winners—78 case studies of excellence from the year’s best campaigns. And be sure to share our recaps from Day One and Day Two. And one last time, we offer up the best insights from the day, below. Adobe’s keynote offered spectacular graphics and insights on creative marketing approaches. —Sean Zielinski, Director-Corporate Communications, Harley-Davidson. —Ryan Thompson, Brand Director, Dos Equis, on the value of his team’s annual Burning Man offsite.